The Domaine's 2006 Grands-Echezeaux is altogether less charming and flattering than its ostensibly lesser sibling, leading as it does with fresh red meat and pronouncedly saline, marine mineral notes even in the nose. In the mouth, this is relatively spare but formidably-concentrated and finely-tannic, with cedar, tartly-edged though ripe black fruits, and alkaline mineral notes that carry into a striking, bloodily carnal and almost briny finish. 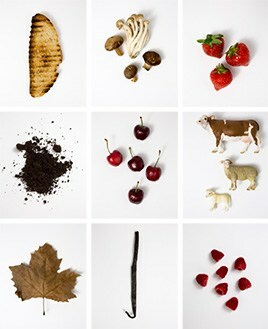 Here is Pinot Noir in its role as a mirror for human flesh and bone. What I see sends shivers down my spine and excites my imagination, but the wine seems to have no intention of flattering me. I didn't encounter another Pinot at all like this in the vintage, and it should be fascinating to follow for a dozen or more years, but unlike the Echezeaux, I would not plan to open any bottles for at least another 3-4. 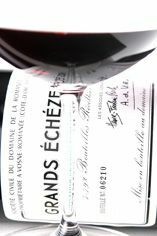 The Wine Advocate - The Domaine's 2006 Grands-Echezeaux is altogether less charming and flattering than its ostensibly lesser sibling, leading as it does with fresh red meat and pronouncedly saline, marine mineral notes even in the nose. In the mouth, this is relatively spare but formidably-concentrated and finely-tannic, with cedar, tartly-edged though ripe black fruits, and alkaline mineral notes that carry into a striking, bloodily carnal and almost briny finish. Here is Pinot Noir in its role as a mirror for human flesh and bone. What I see sends shivers down my spine and excites my imagination, but the wine seems to have no intention of flattering me. I didn't encounter another Pinot at all like this in the vintage, and it should be fascinating to follow for a dozen or more years, but unlike the Echezeaux, I would not plan to open any bottles for at least another 3-4. Domaine de la Romanée Conti is co-owned by the de Villaine and Leroy/Roch families, the former successors to Jacques-Marie Duvault Blochet who bought the vineyard of La Romanée Conti in 1869, the latter since acquiring the shares of other descendants of Duvault-Blochet in 1942. The Domaine is today run by Aubert de Villaine and Henri-Frederic Roch. Many people in Burgundy just refer to 'DRC' as "the Domaine". The domaine has 25 hectares of vineyards, all Grand Crus. As well as the the 1.8 hectare monopole La Romanée Conti, the Domaine purchased its other monopoly, La Tâche, in 1933, along with significant holdings in the grand crus of Richebourg, Romanée St Vivant, Grands-Echezeaux, Echezeaux and Le Montrachet at various points in the 19th and 20th centuries. The Domaine is the largest owners of each of the red wine grand crus. 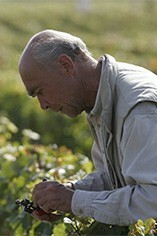 The wines are made by Bernard Noblet in succession to his father André Noblet. Whole clusters are used (no destemming) with a long vatting time avoiding excesses of heat. Yields are mind numbingly low and the winemaking is traditional and perfectionist. These are not merely among the most sumptuous wines of Burgundy but certainly the most stylish. Ancestor Jacques-Marie Duvault Blochet was an advocate of harvesting late in order to ensure optimum ripeness, a philosophy to which his descendants adhere today.